Whatever you want to call this – turtle soup, pump fake, prairie dog pop – they're a great setup idea. (a) price extreme (b) retest (c) breakout (d) failure. 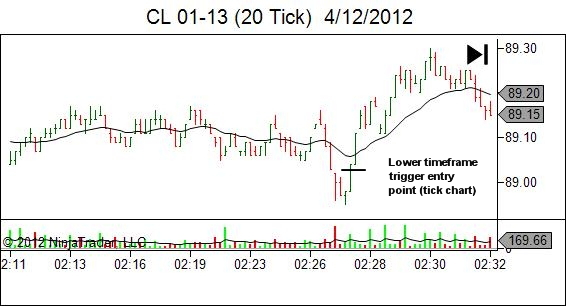 In this case price broke the low by two ticks (a nice stop run). The important point though is that if there was a wider bearish sentiment then price should have fallen. The fact it didn't indicates that someone is absorbing any selling pressure that was present. 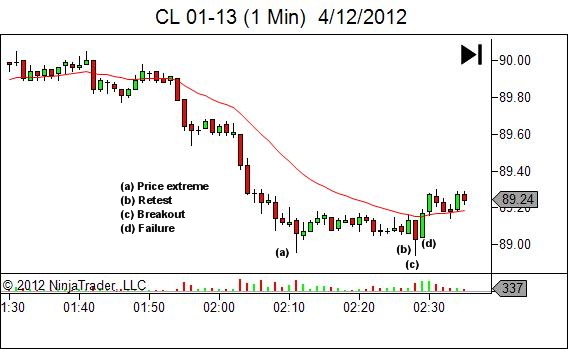 Failure to continue lower leads us to expect at least a short pop higher; and trade opportunity long if we so desire. How to see these in advance? 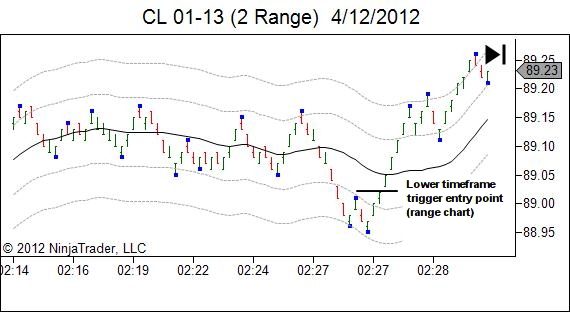 Look for a trigger pattern entry against the breakout direction.